Enrolling in Gosia's class has been the number one most useful resource and investment for Snug's training and development. It's important for us to have a well-behaved and happy pup who integrates into our city lifestyle, and while we've read a stack of books on the subject, it's most useful to have her weekly class to look forward to. Gosia is a saviour when it comes to our pressing puppy questions! Gosia and her team were fantastic at helping us train our pup. They clearly love dogs and were very patient with our excitable cocker spaniel. Just wanted to say a massive thank you to you and the other trainers for all your help during puppy training evenings and also with the questions I had outwith the classes. 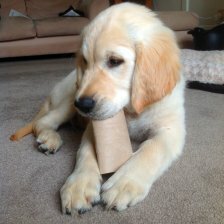 We very much enjoyed the Level 1 Puppy training classes and Cooper just couldn't wait to get through the door each week! Gosia is very knowledgeable and we found the classes very informative and lots of fun too. There's a lot of information to take in, but the weekly emails following class helped ensure a good understanding of the training covered along with a wealth of other very helpful information for you and your puppy. I have to say, even though we'd read through several training books and online materials before starting training, I don't think we'd be in the position we are now with such a well-socialised, well-trained puppy had we not attended Gosia's classes. Cooper really is a joy to be around and because of this, we're considering starting the Level 2 training too. I would highly recommend Dogs & the City to anyone looking for puppy training. Thanks again Gosia! 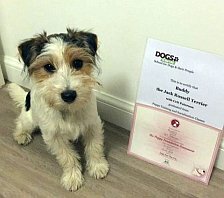 Benji has just graduated from Level 1 Puppy Training Classes with Gosia and we couldn't recommend her classes highly enough. I have a fear of dogs so when Daniel brought Benji home you can imagine it didn't fill me with glee! I needed help – we both did - having never had a dog before. A friend recommended Dogs & The City and I'm so glad she did! I still have a very slight apprehension when around some dogs but with Gosia's invaluable training methods and teaching us to understand behaviours they don't strike fear into me now! That's a huge result! Benji took to the classes right away and was soon happy to sit and stay for a treat. We learned all about socialisation which has been a massive help to me; I can now confidently let other dogs approach and play without a panic attack setting in! 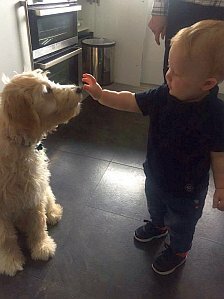 Benji loves to learn new tricks, we got lots of ideas from class, where we also learned to teach him excellent food manners and to walk in a controlled manner. I would not have been capable of any of this without Gosia's help and I especially can't wait to start Level 2! 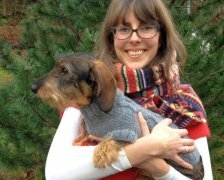 Gosia is a brilliant trainer and great at passing on all of her wealth of knowledge to her dog owner pupils. We saw such a difference in Wilma after Puppy Level 1 and it really helped us get closer to our pup! Wilma enjoyed every minute of the class too. We also successfully graduated from puppy level 2 as well and are now very proud owners of a chilled and mostly well behaved Dachshund! At first we were sceptical that our extremely energetic Visla, Robin would ever be able to focus enough to actually learn anything but after the first class our fears were put at ease.Gosia is obviously someone who knows what she is talking about. She has a way with dogs, putting them at ease and at the same time establishing she&apos;s boss. We have completed two full classes now and we fully recommend to anyone to do the same. If we ever had a particular issue or didn&apos;t understand a particular command she always had time to explain and give us useful tips. Overall it was an extremely worthwhile experience that taught us how to speak and communicate with our lovely puppy. Thanks! Thank you so much for the puppy classes. They were fun and informative. She&apos;s a much better behaved pup as a result and hopefully we are better owners! My husband and I have really enjoyed attending the level 1 puppy training course with Gosia with our cocker spaniel pups Maddie and Morgan. Gosia is so patient and calm with all the puppies and their owners and we have all learned so much. It was also really good for Maddie and Morgan to socialise with the other puppies in the class. Before coming to puppy training we were struggling to get Missy to do basic commands and we were also very worried about certain behaviours she was displaying. Gosia showed us easy but fun techniques to get Missy to do to several commands but also gave us vital information about how to get Missy to socialise with other dogs and explained why she displayed behaviours and how to overcome them. Over the weeks Missy has become a more confident dog and we have definitely become more confident and assertive dog owners. It has improved our relationship with Missy and I feel better equipped to take her training to the next level. On a more personal note Gosia had an instant bond with all the dogs was is able to calm them and get them to follow her commands. This I feel is due to her very calm and loving nature. I would recommend her to anyone looking for a dog trainer. We got Pongo, our then 9-week old Whippet puppy,in the spring of 2013. Everyone recommended we take her to puppy classes, so we decided on Dogs and the City in Leytonstone. We couldn't make the first lesson, so not wanting Pongo or us to be the class dunces, we arrange a one-to-one home visit with Gosia. We didn't expect to be so impressed. Gosia immediately bewitched Pongo and effortlessly made her obey all her commands. She also gave us good advice on toilet training, and how to socialize Pongo with our 2 cats. To say that Pongo enjoyed her subsequent puppy classes is an understatement. Spending quality time socializing with other dogs her age under an expert watchful eye, was just as important as the attention she received during her treat-based evening classes. We also learnt loads. For instance, how to tell when another dog is play growling and when to stop play. Or not to reward Pongo unless she does what we ask of her. Pongo really came on in leaps and bounds, and so did we. It is now several weeks since the classes ended and Pongo is a happy dog that we can confidently let off her lead and expect that she will return to us when needed. We would have no hesitation whatsoever in recommending Gosia. 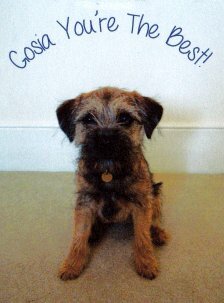 I thoroughly enjoyed attending puppy classes with Gosia, so did my Border Terrier Ham! I was truly amazed at how Gosia could command the attention of a group of very excitable puppies. The classes were really great as they were limited to 6 puppies so you had the opportunity to have some one-to-one time tailored to your dog’s needs. The manuals that were given with each class were also great for advice and tips. 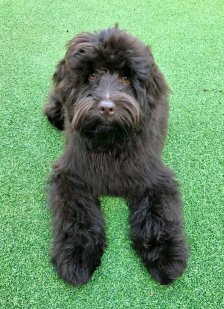 Not only have the classes helped with Ham’s confidence and training, I feel like a more competent owner and I am very keen to continue with other obedience classes in the future. Gosia at Dogs and The City is hugely talented and dedicated. She taught us so much about our relationship with Barrington, and even though he was already a good boy, his obedience has improved massively thanks to her training - of us, as well as him! It's clear how much she cares about all animals and her enthusiasm and knowledge make the training sessions a lot of fun and very rewarding. We'd highly recommend her to anyone considering puppy training lessons. Even before we started classes I knew we'd picked the right trainer. Gosia was so friendly and helpful when I contacted her to enquire. We mainly brought Sherlock to Puppy Classes for socialisation but he took to Gosia's training methods so well that I really started to look forward to teaching him new tricks. Gosia's methods encourage a real bond between trainer and puppy and you can tell she really enjoys seeing each puppy grow and learn. I'll be popping into intermediate obediance when it starts and would recommend Gosia's classes to all new dog owners! Thank You! I hired Gosia for one-to-one sessions to help me train my Cavalier King Charles spaniel, Rupert. I had never trained a dog before so had no idea what to do. Gosia immediately made friends with Rupert and clearly loves animals. She taught me how to train Rupert to come when he calls (which was very important to me because I wanted him to be able to come off the lead), to sit, lie down, and to be calm when I'm sitting outside (so he can come for coffee with me and things). Rupert responded well to this training and although he's not the cleverest dog in the world (he still barks at his own reflection) he learnt his training well. In addition to this practical work Gosia provided me with literature that she had written pertaining to this training method and lots of other dog behaviour information that I didn't know. All in all the training sessions with Gosia were brilliant and you can really see the difference in how Rupert responds to my commands - he does what I ask, compared to when my boyfriend Gavin tries to ask Rupert to do something (Gavin didn't do what I told him and didn't read the literature) - he tends to ignore him! 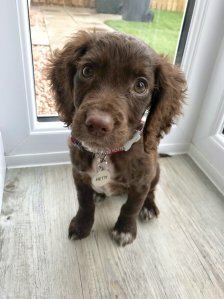 We found Gosia website on an internet search when looking for puppy training in the area and were impressed with the professional looking site. We were not disappointed with the totally professional way Gosia approaches training puppies. The classes were small - we had only 5 in our group - giving a personal approach and loads of time with each puppy. 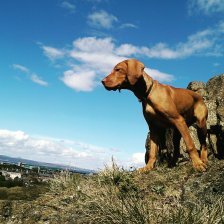 We learned all the basics including socialisation and it put Lotte, our Vizsla, on the road to being a well balanced and happy dog - and taught us how to understand her as well which is half the battle. 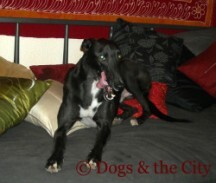 Gosia has a great understanding of dogs and their needs and we're very pleased we found her. My husband and I contacted Gosia to help us calm and prepare our Shiba, Raoul, for the arrival of our baby. Gosia spent an afternoon with us and went through some training techniques to use on Raoul and we found they worked really well. Raoul is gentle and well behaved around all children now, and can be left alone in the house without any accidents or destruction. We found Gosia to be so sweet, enthusiastic and really thorough. She even wrote up and emailed a summary of the afternoon's training! I would happily recommend her to anybody with dog issues as I think she is a great dog trainer. Thanks Gosia! 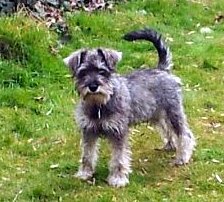 We hired the Gosia to help train our Miniature Schnauzer puppy, Maude. Maude had a few minor issues regarding general behaviour, but more specifically, needed to be properly socialised with other dogs. The Gosias immediately identified this and helped us be brave with Maude when meeting other dogs, outlining the do's and don'ts in and out of the house, and inviting us on pack walks and further puppy socialising exercises. The pack walk was a lot of fun and Maude had a great time, too! So far, all the advice from the Gosias has worked wonderfully and they are our first port of call regarding any behavioural issues. We would strongly recommend Dogs &The City to anybody with a troubled dog or a new puppy that they want to have properly trained from the off. I found Gosia through an internet search. I had a new puppy (my first) and had read lots of books, watched the Dog Whisperer and was by now, thoroughly confused! I couldn't commit to a regular time for a puppy class (and he was getting too old for the local one I was looking at as they didn't run classes over the summer) so booking time with Gosia was great as she's really flexible. I wanted Gosia just to let me know if I was doing the right thing with Lincoln, it was more for me than him! She's got a great manner, very firm, very friendly, and obviously loves dogs! I thought her approach was great and Lincoln came to her from the off (something to do with her pronunciation of 'Lincoln' which made it sound very appealing!). I think she offers something pretty unique and wish her every success. Clive is the best dog we have ever met and we feel so lucky to have him! He is so well behaved and still remembers all the commands he learnt with you so thank you so much for all your advice and help that you gave us when he was a puppy! Gosia's classes were lots of fun and Poppy really enjoyed going every week and learned quicker in the friendly atmosphere. Gosia gave us a lot of advice on efective puppy training and set homework exercises for between classes. One of the most useful things for me was the advice that Gosia gave on a raw food diet. This has been really beneficial for Poppy. This also demonstrates the value of Gosia's all-round approach. There was a good mix of puppies in the class - all sizes and temprements together, which was great for socialization. Poppy is still very happy to see Gosia almost a year later. We were keen to start our Daisy at puppy classes so that she could learn basic obidence training. We found that Dogs & The City had a spare space so we started straight away. We were slightly daunted about taking Daisy to classes in case we (the humans) did not grasp the training methods. However, Gosia made us feel at ease immediately. The training in the beginners classes was explained extremely well and the use of Gosia's own dog to demonstrate worked very well. The methods shown to us meant that we could easily replicate the training at home. The amount of training given in each class was just right for Daisy and ourselves to take in per session. Another great aspect of the beginners course was the training manuals sent by email after each class. If we could not remember a certain training method we could, and in fact still do, refer to the manual for a refresher. We enjoyed the beginner course so much we were very eager to continue to the intermediate course. We would highly recommend Gosia and Gosia to any dog owner as our Daisy's behaviour has improved dramatically. Highly recommend! 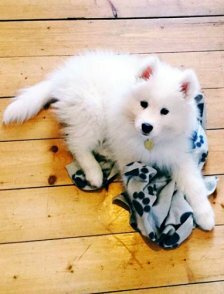 If I could give any puppy/dog owner sound advise ... make contact with Gosias, sign up to puppy training classes as soon as possible and I would also strongly recommend you sign up to dog walking, you'll not believe the positive benefit to your puppy and yourself (and perhaps your sanity). 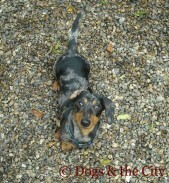 Our miniature dachshund 'puppy' Tarentaal is a year old and joined the puppy training classes as the oldest in the class and quite 'set in his ways'. I never thought he'd learn to follow commands ... BUT within the first two sessions he could 'sit', 'sit and stay', 'sit and wait for his food' - I'm still delighted every time he 'sits' on command. 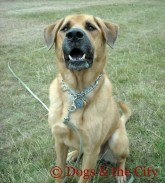 Tarentaal also joins Gosia for dog socialising walks twice a week and immensely enjoys his outings with his friends. 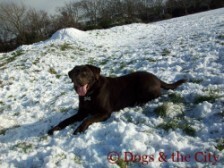 We notably see the positive impact in his behaviour after his walks. We’re so pleased we found Gosia, thank you! Both we and our pup Iggy have gained a lot of insight and confidence in each other through the Dogs &the City puppy classes. We feel very lucky to have found them. With just a few pups in each class and two experienced and knowlegeable trainers, each pup had plenty of 1-2-1 attention and Gosia and Gosia got to know them individually. This was great for Iggy whose innocent, lurcher puppy exterior conceals a rather more strong-willed and independent-minded dog! The Gosias made sure that the pups enjoyed their training and took care to stop work before the puppies had the chance to become tired or bored or frustrated. And the exercises they showed us in class were backed up each week by homework and interesting background information to read through in our own time. This all makes it sound like hard work when in fact the classes were fun for both Iggy and ourselves. Gosia and Gosia are great not just with animals but with their owners, and dealt with our mistakes with tact, patience and good humour, making learning a positive experience for all of us. Now we're hoping to build on our first six weeks and have signed up for the new intermediate course. When we made the decision to get a puppy for the first time we knew how important it was to take him to puppy training. 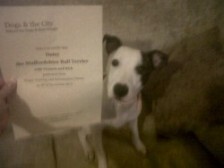 Dogs &The City puppy training is essential for all new puppy owners. It became clear quite early on that Rufus was a strong willed and independent dog and it wasn't just him who needed the puppy training! Gosia and Gosia helped us to understand the way he thinks and how our actions affect his behaviour and they were available for one-to-one training when we needed it. Classes were a good balance between theory and practice (though Rufus' favourite bit was always playtime at the beginning and end of each session). We are now looking forward to the Intermediate lessons so we can build on the basic skills we were taught at puppy training. When we started the first puppy class with our Belgian Shepherd, Maera (then aged 3 months), we saw the list of skills on the blackboard that we and Maera were going to master by the end of the course. It seemed impossible that we could ever do that… but we did! 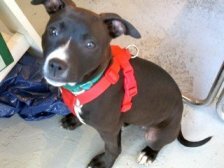 Maera loved the classes, and only the stupidity of her owners slowed her progress. We have learned so much through the classes and are continuing to train Maera with Gosia and Gosia, now outside on Sundays. One of the best aspects of the course is the chance for Maera to meet her dog friends, have a proper play, and watch them doing the exercises. Watching helps her (and us!) understand the exercise we are working on. We have also boarded Maera with Gosia for a few days and we know we would have been really worried leaving her with anyone else. Maera had the time of her life, we thought she might refuse to come home. 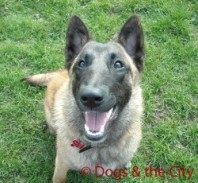 We are so happy to have found Dogs &the City not just for the training, but for the general support and heaps of fun. 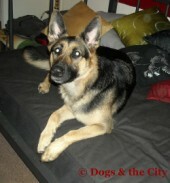 We first came in contact with Dogs &the City to do a training course for our puppy Leija. Being a Jack Russell she has a very strong will and energetic character and we felt we needed help with some aspects of her training. We were met with such knowledge and passion for dogs and Leija loved coming to class. Leija has also been taken out for walks to give her a chance to socialize a bit more with other dogs, she clearly enjoys this and is so excited every time she gets picked up. In conclusion Gosia and Gosia are trustworthy, knowledgeable and passionate about what they do and we are very happy to have found such a supportive place for our Leija. We wouldn't hesitate to recommend them! I'm Honey, a cockapoo and I've been walking with the gang for two years now. We have a great time and I am always ready for a sleep when I get back. When I hear Gosia's car coming down the road I get so excited! I sometimes sleepover with Gosia which is great fun with lots of walks. I love Gosia, I am going to miss her! And one from us - Gosia has been taking Honey on group walks since Honey was a puppy. 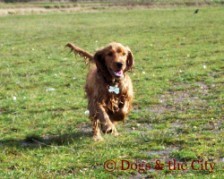 She has been really reliable and Honey is so thrilled to see her she spins round with excitement! When we are away it is so good to know that Honey is well looked after and happy. 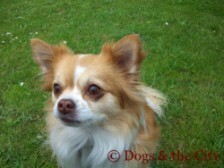 Honey has picked up lots of good habits by being with the group and loves her play with the other dogs. Gosia has been walking Angie, our 3.5-year-old German Shepherd Dog, for almost a year. Angie always looks forward to Gosia’s visits and I know that she gets all the love and attention she needs when we are not around. I am absolutely confident that each time Gosia takes her for a walk, Angie has the time of her life running happily with her buddies from the pack. Gosia is a calm and responsible dog walker who gives lots of love and attention to her pupils, while being consistent with expectations and commands. She is a very committed dog walker and provides a very reliable service. She sends us (sometimes very funny) text messages about where they were, what they did and how Angie was. What’s more, when Gosia is on holiday, there is always another dog walker who stands in for her. Gosia is a very trustworthy person and we would not hesitate to recommend her as a dog walker. My partner and I originally fostered Paco as he was found abandoned by a friend. I had memories of a little dog I had as a young girl and was keen to re-live them with Paco. However, Paco turned out to be quite a different dog! My partner had no experience of dogs but had expressed a liking for Staffordshire Bull Terriers. 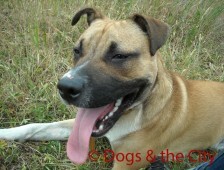 Paco is a Staffordshire Bull Terrier cross. The 'cross' is unknown. Our main concern was the reputation which these dogs had for being aggressive with other dogs. We therefore contacted the Gosias with an aim to try to socialise him as early as possible, and also talk about some initial training ideas. Both Gosias arrived at our flat and immediately provided us with some ideas for training and we agreed for Paco to start walking with Gosia twice a week. 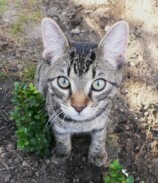 At this stage he was only about 6 months old. Paco absolutely adored Gosia and walking with her from the start. After a few weeks he even started howling for her after she left. It was a little sad to be truthful but it only lasted for about a week and then he started getting used to looking forward to the walks with her and the dogs, and coming home tired and happy. The walks definitely have turned Paco into a lovely friendly dog. He absolutely loves other dogs and Gosia has trained him (and us) well about how to manage the play with other dogs and interaction. Paco is strong and boisterous but he is good at adjusting his play and approaches to dogs whether they are little terriers or big bull / german shepherd type breeds. It has also been really useful for me watching how Gosia and Paco interact and how she deals with him, making him sit and be calm for example. We also now attend Gosias' Sunday training and Paco absolutely loves it! We do as well because, unlike other training classes we have been to, the dogs get time to play with each other before training and also for a break in the training, and afterwards. This is great for them but also for the owners who get to learn how to keep some control of their dogs even when they are running free. For me, it's also really increased my confidence with Paco because the training is in a real world environment of the outside in green space with other dogs and people around. I am sure it's made him much better behaved with us when we take him on walks off lead. Paco has therefore benefited enormously from being one of Gosia's pack and he is actually walked 5 times a week now. However, I would say that one of the other main factors for which we are most grateful has been Gosia's support. At times, I have struggled with knowing how to deal with a boisterous, wilful puppy and young dog. Gosia has been a fantastic support for me and has really gone out of her way to help me out. This has not been a part of her job description strictly speaking and I have been extremely grateful. 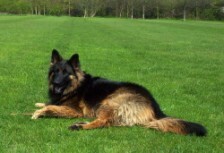 We now have a young 11 month year old very friendly, happy, fit and pretty well behaved dog. He is absolutely never aggressive with other dogs even when we've come across aggressive dogs in the park or street. We have still a few aspects to work on in training such as his recall and trying to ensure he doesn't jump up at people (due to the fact he is so friendly) but these are improving as we continue his training and also as he grows up. We really love the Sunday training classes and they are actually one of the highlights of my week! We have no hesitation recommending the Gosias to any dog owners, especially if your dog is a puppy or you are worried about any potential for aggression. Oh, and we decided to keep Paco (for ever), rather than just foster! Finally, Paco has been in day care with Gosia as well and it's great to know that if we ever go away and need him to board somewhere that there is someone who he knows, is comfortable with, and we trust 100%. Jimi Hendrix has been with Gosia since he was 6 months old. From the initial meeting when she came to our home to meet him so she could assess him and decide which group he would be best placed with, Jimi has totally loved Gosia and she has been so kind and loving to him. Its now 8 months since Jimi has been part of the ‘pack,’ and he comes home after each walk exhausted and totally happy. He is so excited when Gosia collects him that she has to calm him down! Gosia has also looked after Jimi when we’ve been away. I have found both Gosias to be genuine dog lovers who are reliable, trustworthy and professional. I truly am delighted that Jimi is looked after by Dogs & The City and I would recommend their services to any pet owner - and I know Jimi would too! Gosia has been taking Wilson as a day care dog for a year now. She is passionate about the dogs in her care and this is reflected in the affection she feels for Wilson and the dedication she shows in making sure Wilson has a fun and active time with her, come rain or shine. She has never let us down in the year that we have known her and we, as well as Wilson, are so happy that we found her! I am pretty sure that my wife and I were one of Gosia's earliest clients and there is always a certain amount of trepidation when using a business that had only recently been set up, but as soon as we met with Gosia any concerns we might have had vanished immediately. She is clearly someone that not only loves what she does but also takes a great deal of pride in ensuring a job well done, so much so that not only did Bella attend Gosia's puppy classes but in the very early days she visited our home up to twice a day often when we were out to spend time socialising her. As for Bella, her happiness is plain to see when Gosia arrives at the house, she vanishes downstairs and stands of the back of the chair waiting for Gosia to come in before disappearing for an hour or two after which she reappears invariably muddy, wet, tired and happy. Gosia is doing a great job for my dog Bruno, he loves walking with her and the pack every day and comes back home happy and tired. I always felt guilty leaving Bruno home to go to work but not anymore as I know he is having a better time with Gosia who I trust 100%. I'm so glad to have found Gosia and Dogs &the City! I couldn't feel more sure that my dog is in safe and confident hands and that he has a wonderful time when he goes out. He gets to go with many other dogs and I can tell from the pictures and the lovely updates in the 'walks diary' that he is having lots and lots of fun. His behaviour has also really improved since he started, he has matured and is much calmer around other dogs because he's so used to socialising now. It is a weight off my mind and I know he looks forward to seeing the gang 3 times a week! My dog Donut is walked by Gosia, and he always has the best time swimming and playing with his doggy pals everyday. Gosia is fantastic with Donut, he is always so excited to see her and his behavour has improved immensely since he started walks with her! Thanks Gosia!!!!!! Gosia has been walking my dog since October. She is completely reliable and very good with dogs. It was all new for Toto but Gosia had lots of ideas to settle him in and it has worked out really well. 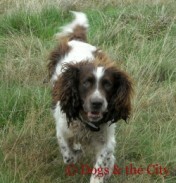 We have found Gosia to be friendly, honest and reliable and our Springer Spaniel seems to like her a lot too! Gosia is helpful, flexible and reliable. She always covers her commitments and does what she can to support short notice requests too. We have no hesitation in recommending Gosia to look after your dog or cat. We have found her to be organised, honest and friendly. Dogs and the City is a very friendly and professional service. We just moved from Chicago and brought our dog with us. Unfortunately the move turned out to be stressful for our dog, Fen, and he had some issues getting adjusted. Gosia was incredibly open and willing to work with us in small steps. Her patience and flexibility have really paid off and now she seems to be one of Fen's best friends. All in all a fantastic service that we would highly recommend to anyone. What has particularly impressed me about Gosia is the care she has taken to make Penfold's walks really enjoyable for him, as opposed to convenient for her! As an older dog (he is 13) he's not happy in big groups of boisterous youngsters so Gosia takes him on a shorter walk and alone which he far prefers. She's always friendly and accommodating and I especially appreciate the little diary she keeps of their time together so I always feel kept abreast of how he's getting on. Most importantly I really feel like Gosia loves Penfold, almost as much as I do, and I think we all like to know our "babies" are being properly adored in our absence! We met with Gosia within a few days of our beautiful Cockerpoos arriving and from the very first meeting it was clear they loved her! She has a wonderful way with our dogs and we know that they have a great time when they are out with her and their friends - because they always come back exhausted and happy! When I finally brought Henry, my ex racing Greyhound, home from the rescue centre he seemed to settle in very quickly, apart from one big issue: he wasn't fully housetrained. I contacted Gosia and Gosia and was impressed at the time they took to give me advice on how to settle Henry and to sort out the housetraining issues. It took 48 hours! I was so impressed I booked a one to one session with them to see if it was possible to let Henry off the lead and to get him to recall. I think the biggest challenge was training me! Within the hour Gosia had me recalling Henry with some degree of success, and with a couple of more sessions we cracked it. I found it very helpful to go on one of their group walks and to have Gosia correct MY technique. Henry goes to Gosia for day care twice a week as I work late. He absolutely loves it and it always makes me laugh when he and Ivan (Gosia's dog) meet at the door, they are like two kids knowing they are going to have a playdate, all wagging tails and barking (in a good way!). Gosia also looks after Henry when I go on holiday. I would highly recommend Dogs & the City for training, walking and day care. Gosia is highly realiable and professional. I also appreciate the fact that they email me when I am on holiday with an update on how Henry is. For Henry, being with them is a home away from home, and you can't say fairer than that can you? Gosia has looked after our cat Thomas on a number of occasions now. It is great to go away and leave him in his own home, with the peace of mind that we have a caring and reliable person looking after him. Thomas clearly loves being looked after by Gosia as we always come back to a happy and relaxed cat, I would most definitely recommend her and her service! Thanks Gosia! Over the past couple of years Gosia visited and fed our frail but sweet old adopted cat Skunky when we went on holiday – we don’t think he had ever been far beyond our back garden so we didn’t want to put him in a cattery. Gosia has always been really helpful and genuinely caring to Skunky, and we felt comfortable leaving him in her care. When he didn’t come for his food one time she was worried as he was frail and she would have knocked on doors to ask people to look for him if he hadn’t turned up on the next visit. We know Skunky got on with her as he came in to say hello when she dropped our keys off. We were put in touch with Gosia (no2) by Gosia (no1) as she visited us during her role as a charity worker for GSR U.K. which Maddie came from. As Maddie was a rescue dog we did not want to put her in kennels as this can be quite daunting for larger dogs that need a lot of exercise, we were looking for a home from home for her. We were unsure of what to expect but after a telephone conversation with Gosia our minds were put more at ease. Gosia informed us the best way forward would be for her to visit, see how Maddie reacted to her and take her for a trial night if all was well. Maddie is a typical German Shepherd and thinks she is in charge and her interrelation skills with other dogs is sometimes testing. When Gosia first came into our house she struck up an instant relationship with Maddie which is not an easy thing to do. Maddie normally sits in the corner and analyses people before approaching but not on this occasion. Gosia had her eating out of her hand and was giving her cuddles and telling her she would enjoy playing with the other dogs. The trial night went with a great success and two week later Maddie was off to Gosia's. We were still very apprehensive especially my son as Maddie is his first dog and thinks the world of her. Gosia put his mind at rest and assured him she would look after Maddie with great care. Which she duly did. If there was ever any evidence that Gosia understands dogs and can get the best out of them then please look at Maddie's photographs in the gallery there are lots too choose from. Maddie never liked water but now we cant keep her away from it. Gosia has had her interacting with dogs of various sizes and breeds whilst being off the lead which means it is now a pleasure walking her in the park. I have had no hesitation in recommending Gosia to my friends but I think I will need to make sure that I book early for next year. 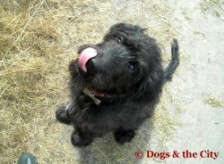 We contacted Gosia to home kennel our 16 week old puppy Molly whilst we went on holiday, we weren't keen to use kennels. We were really impressed at the attention Gosia gave to both us and Molly in preparing to have her, she had a fantastic time staying with Gosia and the other dogs and she also spent some time working on her puppy training while we were away. We can't recommend Gosia highly enough, she clearly has a unique bond with dogs, Molly loves her and she has a vast knowledge of dog behaviour and training. Molly will be staying with Gosia again next holiday if we can get her in! Gosia had been recommended to me by another dog training expert and when we arranged to meet, her magic began immediately as soon as she walked through the door. 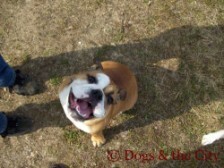 My puppy at the time was 6 months old, a British Bulldog, named Uggs. Now up until this point, Uggs had not had any formal training at all and was beginning to test our patience with her lack of obedience and toilet training. So there was quite some work needed. But Gosia's dog training was just unbelievably perfect for us. 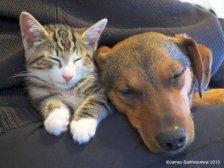 Gosia and Uggs bonded immediately when she came to our house and Gosia knew exactly what she needed to do. 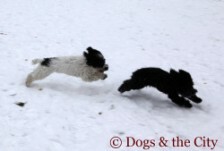 Her training started immediately and Uggs went to live with her for two whole weeks (and Gosia's dog!). In that time, the programme consisted of obedience, food discipline, interaction with other dogs, toilet training and walking correctly on a lead. Many other aspects were involved, including how to play outside and realise that at home was a place of rest and calm. Not only did Uggs have a lack of contact with other dogs with me previously and needed to be shown it was normal to go to the toilet outside, she also needed to learn some important commands from her leader. Gosia gave me day to day updates by phone and by email and as each day went by, Uggs was responding to Gosia's training and commands immediately. It helped that she is a very smart dog too! 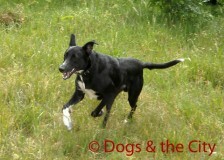 When Uggs returned, she was a completely different dog, all for the better and still with her playful characteristics. She listened and waited for commands and responded, she even stopped peeing on her pads and told me when she wanted to go outside to do it! This was the biggest help ever! When I went to take her for a walk, she no longer pulled me and she kept to the left hand side of me. She responded extremely well with other dogs in the forest and was just an absolute joy to be out with. She must have felt that there was no stress coming down from the lead from her owner. Gosia even followed up the training with visits later on to check how the training was going with me and if Uggs was just as obedient with me, which she taught me was just as important for my training as it was for Uggs. Gosia had worked her magic and was just the perfect dog whisperer for Uggs. I have to say a very BIG thank you to her. She is extremely polite, very patient and extremely trustworthy. I would use her services again in the future and will continue to keep in contact with her. Thank you so much! We have a nine month old puppy whom we adore. We planned to go skiing in February and we were very concerned as to what we would do with him. I was very worried especially as in the past when I was growing up everytime we came back from holidays our dogs were disturbed and took several weeks to get back to normal. We asked our dog trainer if she recommended someone very good that would not only look after our puppy but would also really care for him. She recommended Gosia. I was very nervous at first as I did not know Gosia. We spoke to Gosia on the phone and were really impressed by her knowledge and questions she posed us, she then insisted that she wanted to come over to the house to see how Max was in his environment and how he interacted with us. She really bonded with Max. We asked her lots of questions and then went over to see where she lived and walked with her dog. It was very obvious to us how much Gosia knew about doags and also deeply cared about them. Despite all this I was still nervous leaving my puppy for 1 week. Gosia asked to have Max for a trial night before the week in order to make sure Max was ok and also to ensure Max bonded with her dog. Max when over for this trial night and had a great time. He was so tired after all the exercise when we got him home that we called it the bootcamp! When Max went for a week I was really sad to see him go but was not worried as I knew that he was in great hands.. Gosia emailed me everyday and sent me lots of pictures. Max looked so happy in the pictures (and I could definitely tell if he wasn't). He had such fun. When I came back and went to pick him up, the second I saw him I saw the great time he had. I had a good chat with Gosia before I left and she told all he had been up to and gave me a wonderful present of a dvd with all the photoes she took of Max that week. I would never have expected such fantastic service and we have already asked her to take Max in May. I now know that if I ever want to go away, I have someone great to look after Max. I would definitely recommend Gosia to look after your dog. I can highly recommend Gosia. My dog, Orphy, clearly had a wonderful time and we were thrilled to get the emails and pictures letting us know how he was doing. Gosia is clearly a very caring and animal friendly person and I am confident leaving Orphy with her. We had never left our dog with anyone before, so when we decided to go for a holiday last year all we could think of was how we were going to leave our golden retriever Rocco. But after just one phonecall, Gosia was able to put our anxieties to rest. It was clear from the start that she loves and understands dogs. After a one day trial, we both felt happy for Rocco to spend the week with her and her lovely dog Frytka. We could see that Rocco was very well cared for. He was happy, not at all stressed and enjoyed a lot of walks. It was also really nice to see the pictures of him having a good time. Thank you so much again. We will definitelly be using your service in the future.